Streams and Channels to host its inaugural video art screening. 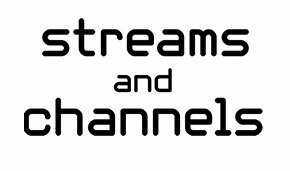 On February 21st at 6 P.M., the Westchester Community College Center for Digital Art in Peekskill, NY will host the inaugural video art screening of Streams and Channels. The screening is a survey of emerging and established video artists. In an era of digital globalization, this video art screening highlights common threads in the work of 20 artists all over the world and explores themes of the human condition, gender, colonialism, and the affects of social media. Streams and Channels is a series of video art screenings, founded and curated by Ryan O’Hare, that displays the work of emerging and established artists.